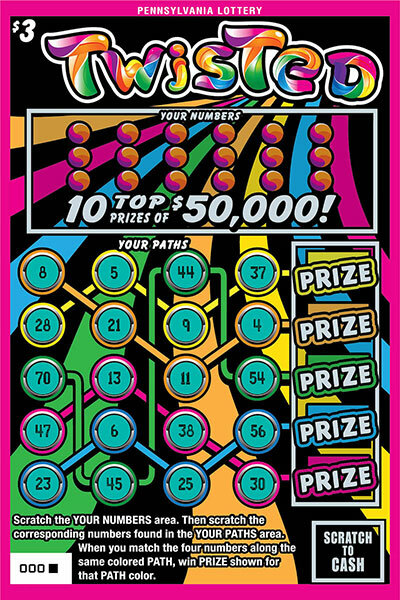 Twisted is a $3 game that offers 10 top prizes of $50,000. Scratch the YOUR NUMBERS area. Then scratch the corresponding numbers found in the YOUR PATHS area. 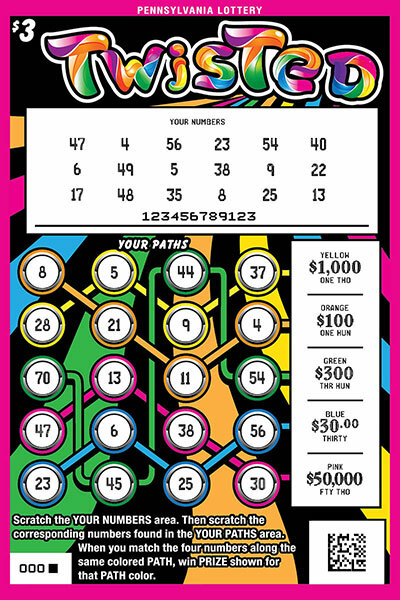 When you match the four numbers along the same colored PATH, win PRIZE shown for that PATH color.